Conservation in Namibia is taken seriously by our government. One of the most high profile conservation topics is the status of the desert lions that roam north-western Namibia. There are two sides to the story, one, the struggles that local communal farmers have coping with lions eating their livestock and endangering their lives and two, the tourists/visitors to Namibia that would like to see these magnificent animals in their natural habitat and enjoying them whilst on safari and on a “game drive”. Fortunately our Minister of Environment and Tourism, the Honourable Pohamba Shifeta, is making a serious effort to keep all sides happy. Our Ministry understands the difficulty the communal farmers have and makes a serious effort to see to their needs. But at the same time, conservation and survival of these rare species is a special priority and this is supported by the increase in numbers of lions in Namibia. 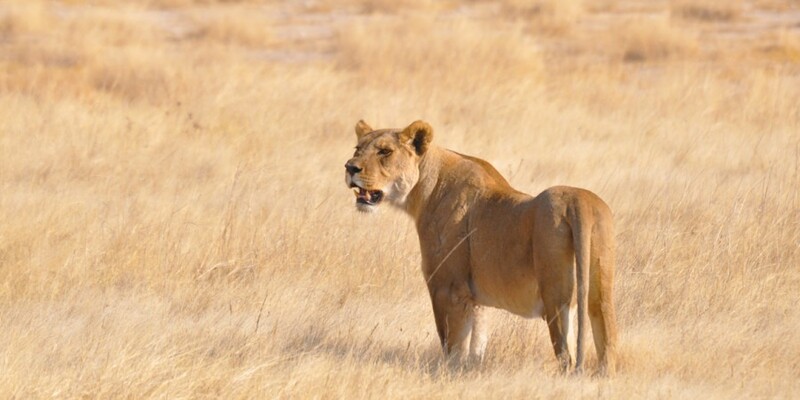 Our estimated lion population in Namibia is a total of 700, with 430 in the Etosha National Park, 120 in the Kunene region (these are the desert lions), 50 in the Khaudom National Park and 100 in north eastern Namibia and the Zambezi region.